Before this gets going, I would like to clarify this is a review of the novel The Perks of Being a Wallflower. Novel. Seeing as the film does not come out until September and I do not have crazy Hollywood hookups yet, I will be talking about the original ink and pages. This means no insight on the film. No critiques complaining about how they left a certain part of the book out or how they got the meaning all wrong. Unfortunately, this also means there will be no mention of Emma Watson. Well… maybe one or two. Regardless, novel. About the novel. Okay. Coming of age is an interesting theme. There is something about it that screams, “hey, we need more of these!” But there are thousands in circulation. Millions that are not yet told. Even I hope to write a coming of age story. We’ll see how that goes. What is in front of us is The Perks of Being a Wallflower. In all honesty, I mainly picked this novel up because I heard they were making a film out of it. There were two things that intrigued me about the film. The first one was simply to see Emma Watson act with an American accent. The second was a bit more involved. I noticed the author of the novel, Stephen Chbosky, was also the screenwriter and director of the film. Something that does not happen often and gets the attention of an inspiring writer like me. Once I brought the topic up with some of my friends, they recommended it so that pretty much sealed the deal. I ordered it online for pretty cheap and received it on a laundry day. I know, because I read almost the entire thing while waiting for my clothes to wash and dry. Safe to say this is a quick read. Depending how into it you are, it should only take you a couple hours to finish. 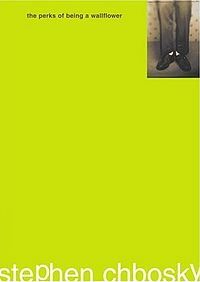 If you do not know, The Perks of Being a Wallflower follows Charlie as he makes his transition into high school. Along the way he befriends two high school seniors and his life blossoms from there. Love, life, music, literature, culture, friendship are all in this book. Each page is bleeding with Charlie’s life and emotions for our enjoyment. However, we do not feel invasive, because it is Charlie himself who is writing to us in letter form. The novel spans over the course of a year, the day before he starts his freshman year to the day before he starts his sophomore year. I could spend the time to give you a plot synopsis, sharing the most exciting or provocative parts. However, I would rather just focus on the character and how exactly he accomplishes his transitional goal, which is conveniently the theme of this here novel. Since this novel is such a quick read and frankly this is my blog, I will do the latter. Charlie’s whole existence relies on the fact that he goes unnoticed. He has always gone unnoticed throughout the first years of his life. He is able to continue this veil by putting everybody he knows before him. Whether that is needs, wants, or whatever. However, the change in the story, and ultimately his character, is he finds people who flip him completely upside down. He is thrown into an unknown territory, but not without guidance. Still Charlie attempts to remain behind everyone else, but not necessarily as an outsider. Change doesn’t mean anything if it doesn’t take time and effort. Throughout the novel he is put into situations that would almost seem difficult to me now at my age. Dealing with a sister’s abortion or finally being able to express yourself to the one you truly love in a physical manner. Not easy. Or… no not easy. But through these moments, we see the immaturity and innocence of a fourteen year-old boy. We assume Charlie is ready for anything we are, because we see ourselves in him at every step. I contribute this to the writing of Chbosky and the connection we all share. Charlie is not always ready for what comes next, but that’s the point. His insecurities and chains come down slowly. More importantly, the novel ends before we can see the last of them come off. Maybe some never come off. However, the ideology this novel puts forward is not an ending per se, but a beginning. The beginning to the rest of his life where he can be someone he never thought possible in front of the most terrifying audience, himself. That is the message I picked up. Not that we’re ready, but that we can be ready. I had a professor who taught us a thing or two about critical thinking. He told us the most important thing we’ll do is define. There are so many abstractions in this world and we need to find our own definitions. I think Charlie has started to create his own dictionary. Most important, and this is why I felt the need to write this review, he has come to understand it is okay his definitions are not the same as those different from, those the same, those he loves, those he hates, and those that inspire him. A lot of emphasis goes into Charlie’s description of being “infinite.” I understand the appeal and the originality. However, I found more solace in something else he said on the very last page, “And I was really there.” He is there just as we are here. We are living. Who we are will determine which way we go.